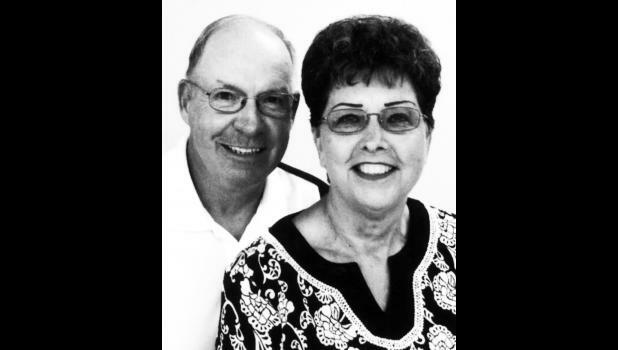 Larry and Alberta (Lierz) Tanking of Holton will celebrate their 50th wedding anniversary on Friday, Nov. 28, 2014. They were married by Father Alfred Koestner on Nov. 28, 1964 at St. James Catholic Church in Wetmore. Larry and Alberta have four children: Tony and his wife, Karen, of Hiawatha; Greg and his wife, Sue, of Holton; Andy and his wife, Karla, of Circleville; and Audra Steiner and her husband, Jeff, of Topeka. The couple also has six grandsons, six granddaughters and one great-grandson. Cards may reach them at 10955 278th Rd., Holton, KS 66436.